A few months back I picked up an unusual William Ainsworth & Sons surveying compass that closely resembles an Ainsworth-produced Brunton Pocket Transit. 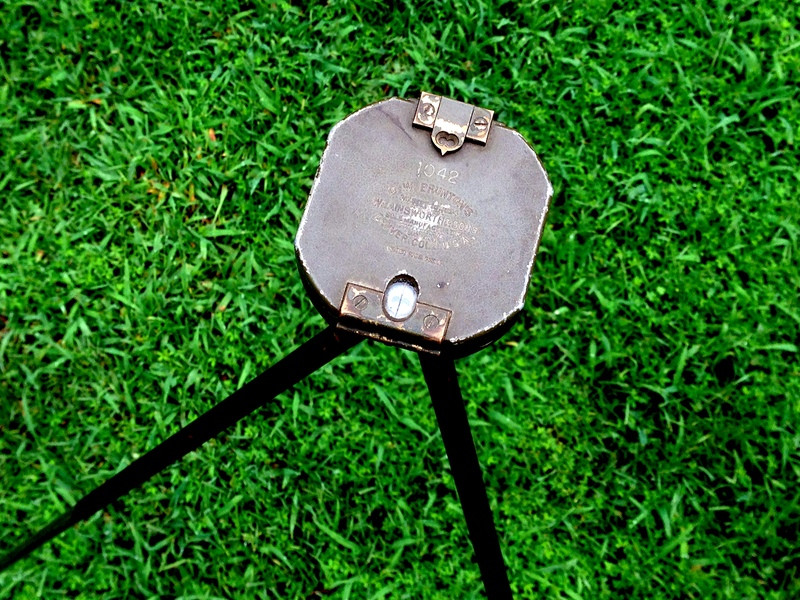 The resemblance is so close, in fact, that the lid of the compass is even marked ‘D. 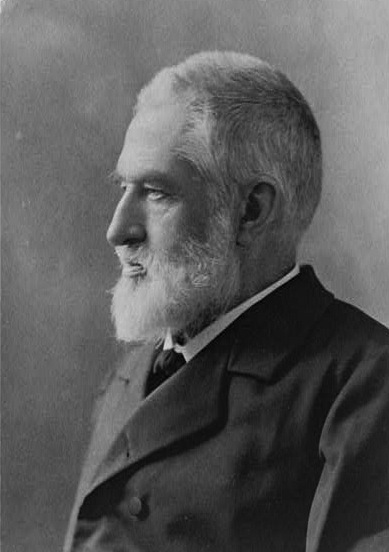 W. Brunton’s’. There’s no doubt that this is an original Ainsworth instrument (as opposed to a copy or knock-off), but it certainly isn’t a pocket transit. So what do we have here? 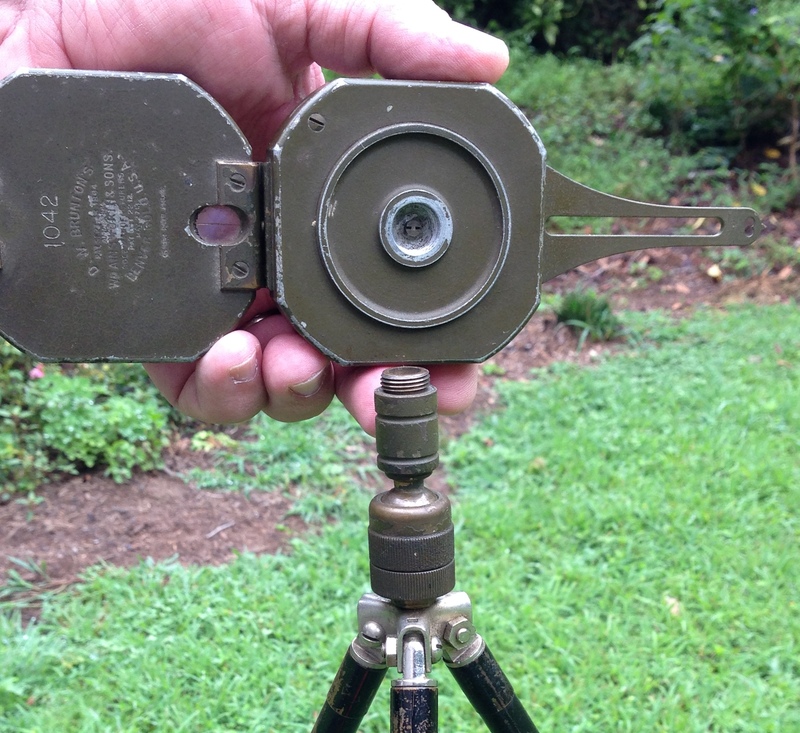 Well, it appears to be a survey compass built using a pocket transit case. I’ve never seen or read about an instrument of this type, so I assume it’s fairly rare. However, inside we see something quite unusual. It’s not a pocket transit but a surveyors compass! Two key questions are, when was it made, and for whom? Based on the case design and markings this is instrument was made after 1914, and we can be sure of that based on the ‘figure 8’ peep sight design which was patented by D. W. Brunton in 1914. But going a bit further, I’ll also wager that this instrument was built post-1927 when Ainsworth acquired the manufacturing rights to the Brunton pocket transit from D. W. Brunton’s estate. This would account for the use of the pocket transit case and a lid that carries all the Brunton patent data on a device that is clearly not a pocket transit. I doubt Mr.Brunton would have allowed his name and patent information to be used on something that was not of his design. 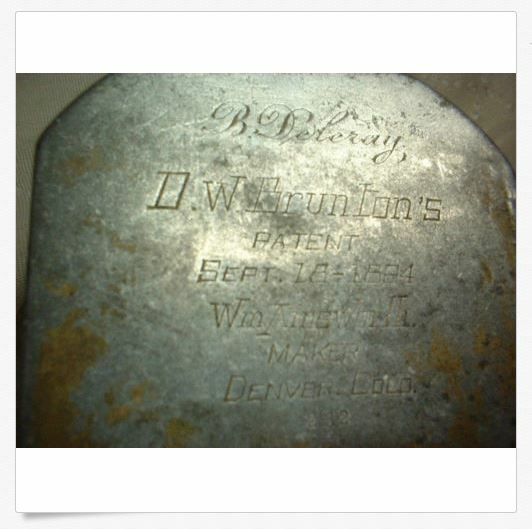 William Ainsworth & Sons was a well known instrument maker and produced high end instruments for the mining, geological exploration and surveying industries. The idea that they would consider using a pocket transit case to produce a small survey compass is not at all far-fetched. In fact, it makes perfect sense. The cases were already in production, the pocket transit was a well known and highly regarded design and it would have been easy to simplify the housing design to contain just a compass needle. In theory it would also have been cheaper to build since the bubble levels, clinometer arm, scales and external clinometer lever are all left out of the design. But was this an attempt to bring a simpler and cheaper pocket instrument to market or was this made to answer a product requirement submitted by a customer? We may never know, and there aren’t enough clues we can glean from the instrument itself to make a good guess. This particular instrument is painted in a dark green, very similar to Army olive drab. The paint job is well executed and was probably done at the factory. It’s also stamped with the serial number ‘1042’, but the serial number placement, text size and style are not what we’re used to seeing on other Ainsworth instruments. 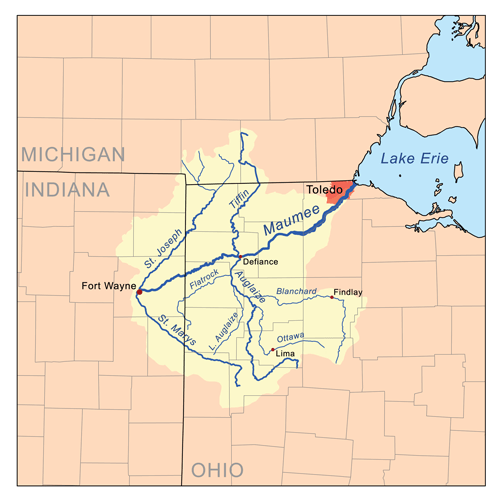 This indicated it may be part of a special production run for a large customer – perhaps the US military or another federal agency such as the USGS or the US Forest Service. 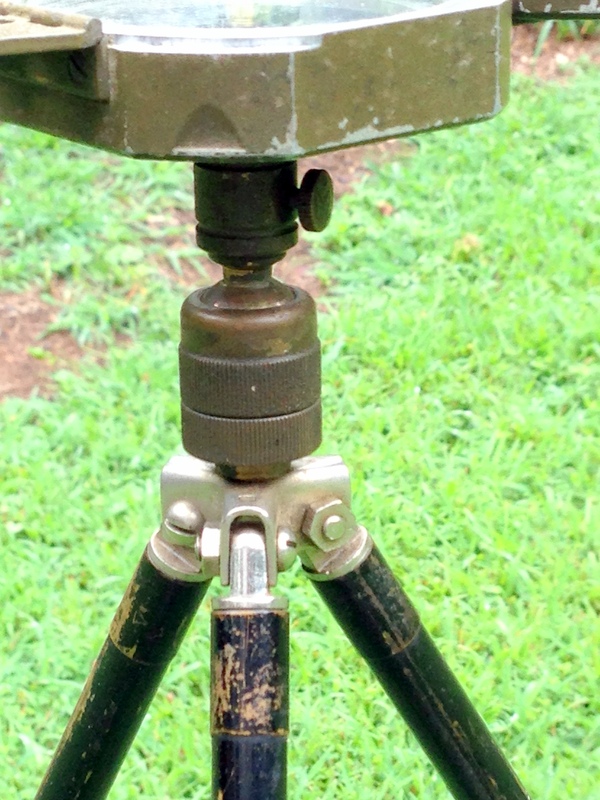 Another interesting design feature relates to how the compass is mounted to a tripod. Pocket transits are secured to tripods using a ‘U’ shaped bracket the slides into grooves machined into the side of the transit case. 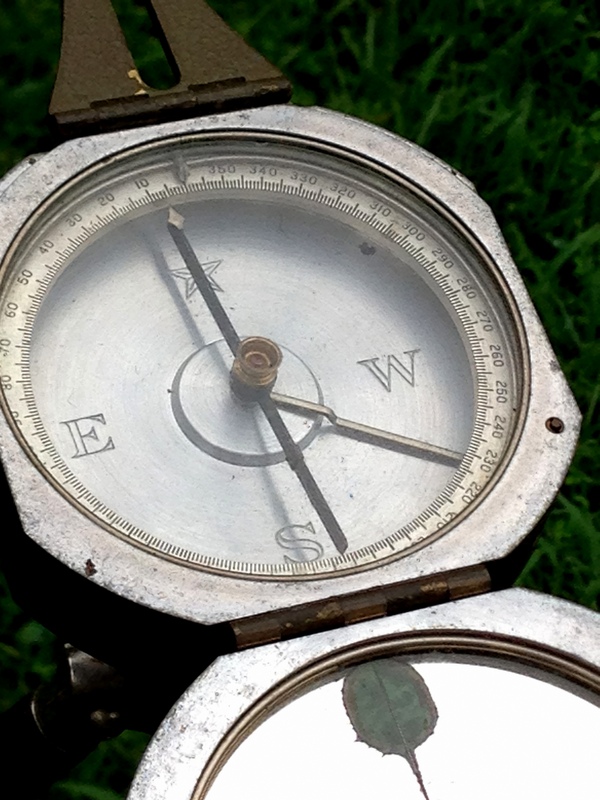 This compass design takes a more common approach, and one used by most surveyor compass manufacturers. That is, the mounting thimble or bracket screws into the base of the instrument. Pocket transits can’t use this arrangement because of the clinometer lever that extends through the bottom of the case. 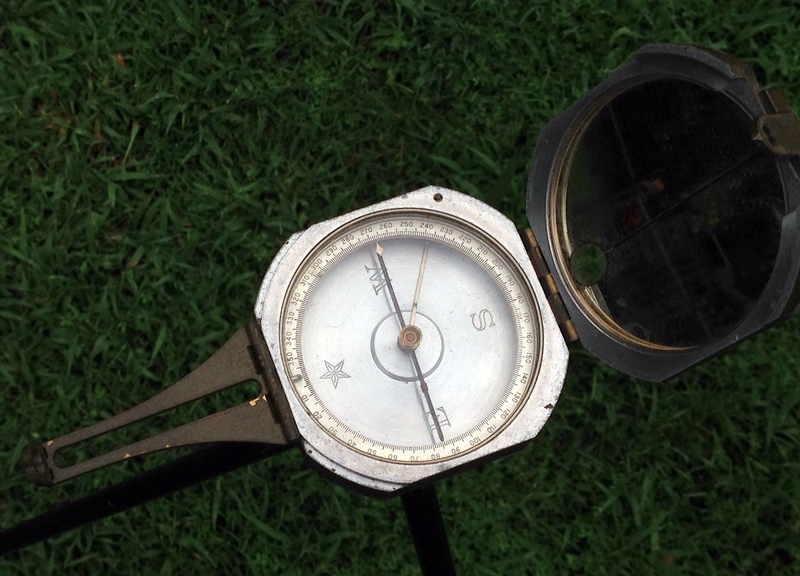 But since this compass doesn’t have a clinometer Ainsworth was free to use the more conventional mounting method. So there we have it. An interesting instrument that represents the adaptation of the popular pocket transit design for another purpose. If any of my readers have any additional information on this instrument I’d love to hear from you. Please just leave your comments on the blog for all to see. Thanks! It is rare that a movie or series ends up being as good as the book it was based on; the examples are few and far between. Frankly most films just can’t capture the essence of the story the book’s author worked so hard to get across. Maybe Gone With The Wind, but that’s about all I can think of right now. But this weekend I was happily reacquainted with a video series that does a great job of capturing the essence of the book it was based on. The video series is called Longitude and it’s based on the classic book Longitude written by Dava Sobel. 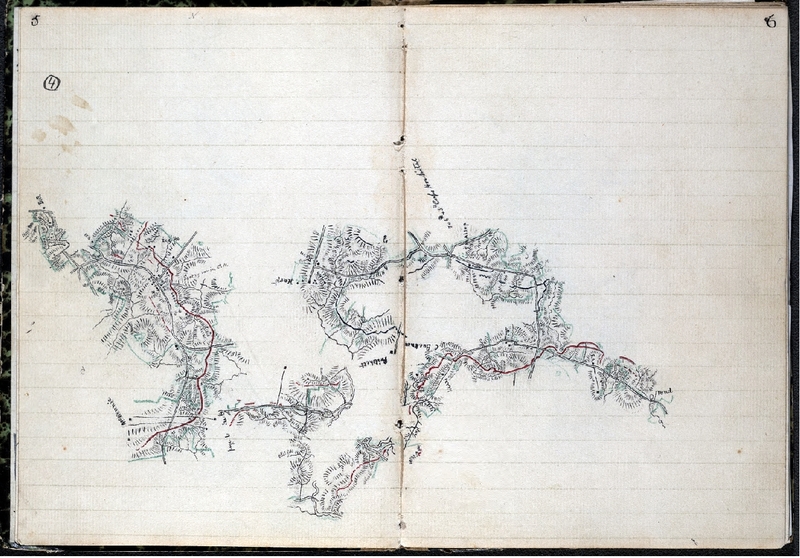 I consider Ms. Sobel’s book to be a staple of any geographer or topographer’s library and highly recommend it. Ms. Sobel wrote about the half-century long efforts of a country carpenter and clock maker named John Harrison to claim the prize established by British Parliament that promised to award £20,000 to anyone who develops a practical way of determining longitude at sea. For the British this was a critical issue. The Royal Navy was losing ships and crews at an alarming rate because its sea captains and sailing masters had no way of determining longitude. The British government considered ‘finding the longitude’ to be the most critical scientific problem of its day. Without accurate navigation at sea the British empire may well have died on the vine. After all, if you can’t reliably communicate with your far-flung colonies and safely move people and cargo between the colonies and the British Isles you run the real risk of losing control of your territorial gains. What makes the series so good is that it has all the elements required to tell a great story – a good tale, good screenwriters who understand the subject, an excellent cast and good production values. The video series was produced in 2000, five years after Sobel’s book was first published, and the film brings the story to life. The series was originally broadcast in the US on the A&E Channel, but is now available on DVD. The story is carried by the strong performances of Michael Gambon as John Harrison and Jeremy Irons as Rupert Gould, the shell shocked Royal Navy officer who began restoring Harrison’s chronometers during WWI. The rest of the cast is also first rate and they all seem to have really gotten their teeth into the story and the historical characters they portray. I do have a few minor quibbles, mainly how 18th Century Royal Navy officers and ship’s masters are portrayed, but overall the video series is excellent. Do yourself a favor and either buy or rent this great series. And remember – without the chronometer England might not have had an empire. It was that critical to British history. 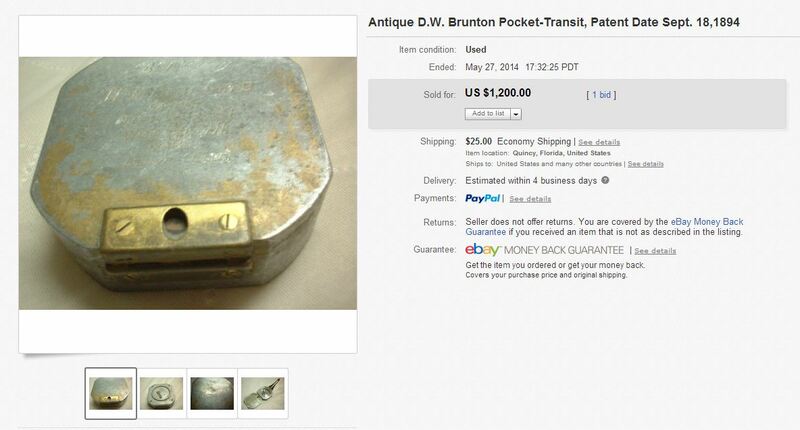 Last night on eBay someone plunked down $1,200.00 (plus $25 shipping) to purchase a used Brunton pocket transit. Silly impulse purchase? A case of SUI (Surfing Under the Influence)? Or does the buyer know something I don’t? You see, this particular Brunton appears to sport the serial number 232 (although it’s hard to make out in the lousy photos the seller provided). If the serial number is valid this puts it somewhere in the first or second year of production – around 1895. This is by far the earliest production Brunton I’ve ever seen for sale. I sincerely hope the buyer is happy with his/her purchase. Who knows, perhaps it’s destined for a museum collection (which might explain why it sold so fast at the buy-it-now price). If the buyer happens to read this blog I’d love to hear more about your decision to purchase this pocket transit and perhaps provide a few detailed photos of this remarkable example to share with the readership. I’ve added this Brunton to the Pocket Transit Serial Number Project spreadsheet so we have a record of its existence and sale. To date it is the second oldest Brunton on the list. I’d love to know more about its history – who owned it, where it was purchased, where it was used. These fine old instruments usually have a great story to tell. It is Memorial Day and I’m thinking about those that made the ultimate sacrifice, and what might have been done differently that could have ensured many of those we lost instead made it home safe and sound. One of the key Engineer topographic intelligence failures of WWII took place during the planning phases of Operation Overlord, the Allied invasion of France. This was the failure to properly assess the impact the hedgerows in Normandy would have on our ground movement and tactical operations. This failure to identify and assess the impact of the hedgerows, and then develop tactics and training procedures to deal with them, resulted in the unnecessary deaths of hundreds of Allied Soldiers. The hedgerows in Normandy were used to create small pastures and farm fields, many of them just a few acres in size. In a land without rocks or trees these hedgerows were the fences that kept cattle from wandering off and allowed farmers to clearly identify what land they owned. The Normandy hedgerows were made up of linear mounds or walls of earth topped by a thick tangle of trees and brush. Most of the hedgerows dated back hundreds of years, some back to the time of William the Conqueror. Centuries of soil compaction and vegetation growth meant the hedgerows were dense, sturdy obstacles that were virtually impossible to penetrate. On a flat and otherwise featureless coastal plain the hedgerows created heavily dissected terrain with limited line of sight and restricted virtually all off-road movement. 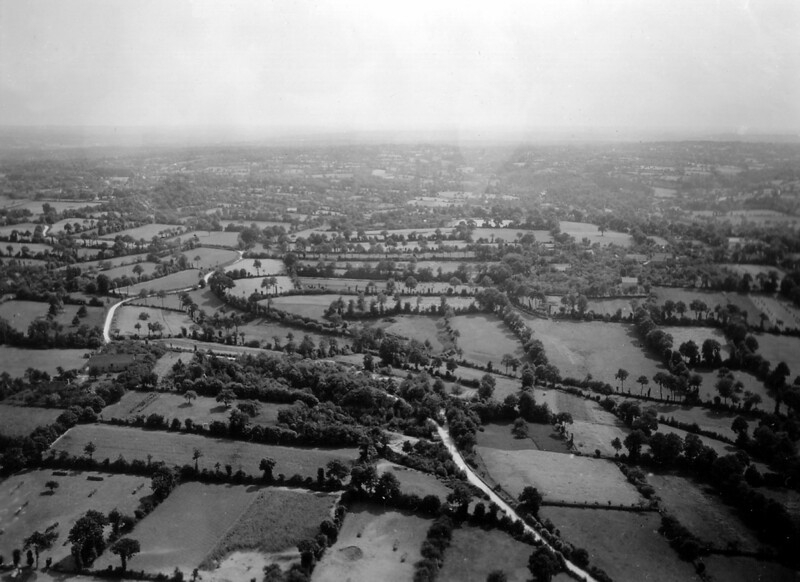 Hedgerows in Normandy as seen in an oblique aerial reconnaissance photo taken by the US Army Air Force before the invasion. In this photo the hedgerows present obvious obstacles to movement so why didn’t they get more serious analysis? The German Army was the master of the defensive operation. We had already seen that in Italy, where German Field Marshall Albert Kesselring established a defensive line in the mountains north of Rome (known as the Gustav Line) that turned Churchill’s ‘soft underbelly’ operation into a meatgrinder that chewed up entire Allied divisions. 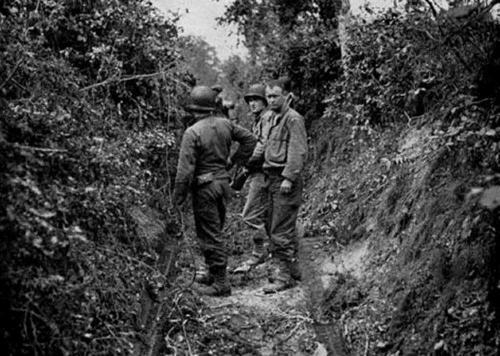 In Normandy the local German commanders had months to study the problem and turned the hedgerow complexes into deathtraps. Every hedgerow corner, every road and trail, every chokepoint was covered by machinegun, mortar, anti-tank and artillery fire. Normandy was a defender’s paradise, and the Germans made the most of what they had. Normandy became a textbook case of a tactical defense in-depth, and the German efforts are still studied today. The Allied armies never really defeated the hedgerow problem. 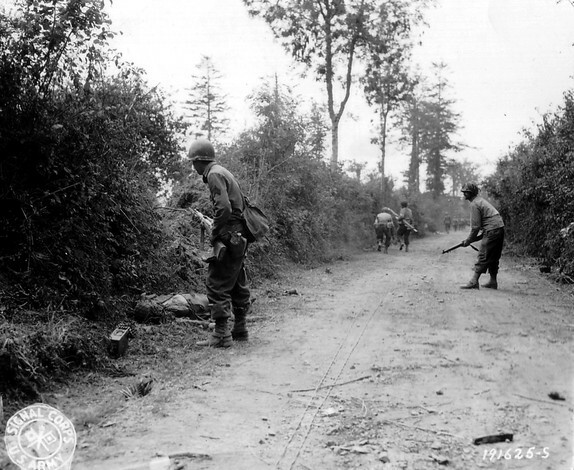 The advance through Normandy became a slow slog with infantrymen fighting for every foot of terrain. 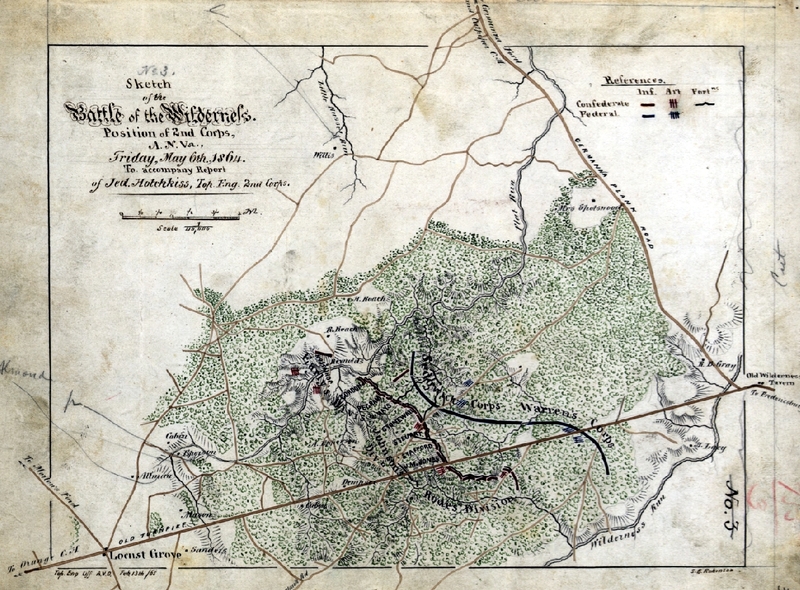 The US Army eventually developed a set of combined arms tactics using dismounted infantry and tanks that allowed effective movement, but in the end it was commanders like General Patton who simply decided to punch through the hedgerow country and break out into the more open terrain south of Paris. In the end the Allies simply bypassed the German defenders in the hedgerows and left them to wither on the vine. Most surrendered within a few weeks, out of food, out of ammunition and out of the will to continue the fight. But the question remains – how did we miss the impact the hedgerows would have on our tactical operations? We didn’t lack for topographic intelligence analysis during the planning phases for Overlord. The beaches and inland areas of Normandy received some of the most intensive Engineer terrain and intelligence analysis ever applied to a piece of ground. 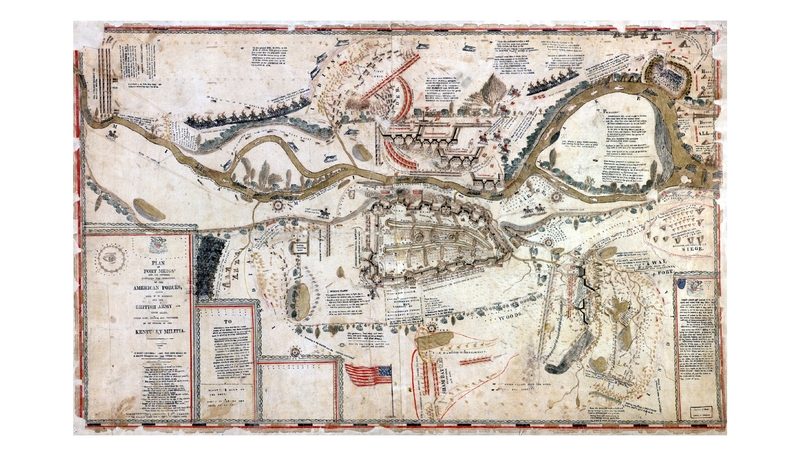 We collected tens of thousands of aerial photos (many of them in stereo), built hundreds of terrain models and printed thousands of special maps and geographic (terrain) studies of the Normandy region. 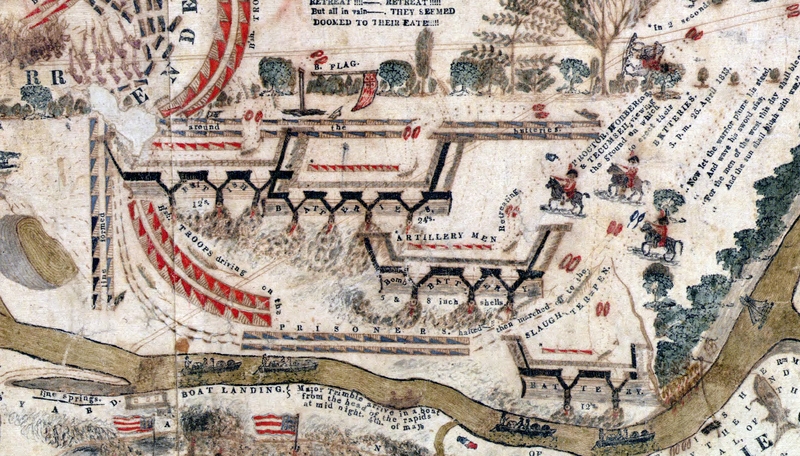 Small unit commanders had the best picture of their objectives, and the terrain leading up to their objectives, than had ever been developed for any military operation up to that time – and yet we missed the hedgerows! There’s no definitive answer in the historical record as to why the Normandy hedgerows were not identified as significant obstacles, but I can make a few good educated guesses as to what happened. 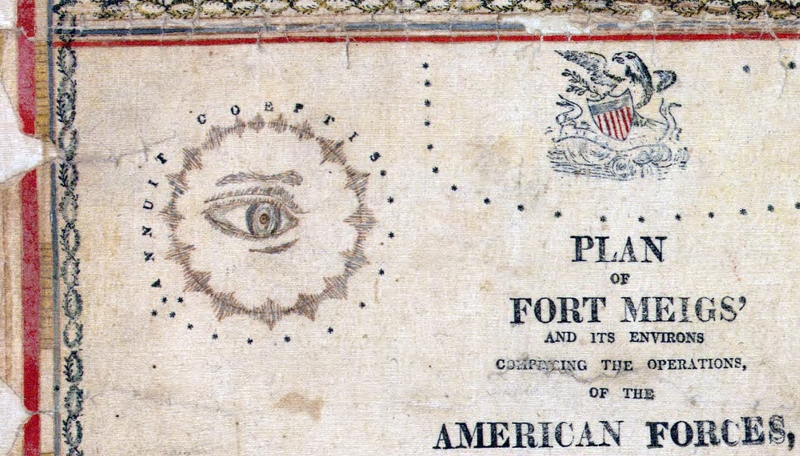 The large scale topographic map is the standard military planning document. Planners at all levels – from Infantry platoon all the way up to Theater Army G-3 – rely on the topographic map to provide an accurate representation of the ground they are going to fight over. The general assumption is that if it’s not on the map it is either not there on the ground, or it’s not important enough to worry about from a military operations perspective. Yes, the map is just a base to build on, but Soldiers are trained from day one to trust what they see on the map to be an accurate representation of what they will find on the ground. If hedgerows are missing from the map, even though they may be visible in aerial photography, the assumption is that someone further up the chain with more smarts and access to better data took a hard look at the hedgerow problem and decided it wasn’t anything to worry about. This seems to have generated a false sense of security regarding the hedgerow issue that permeated all levels of Allied command. 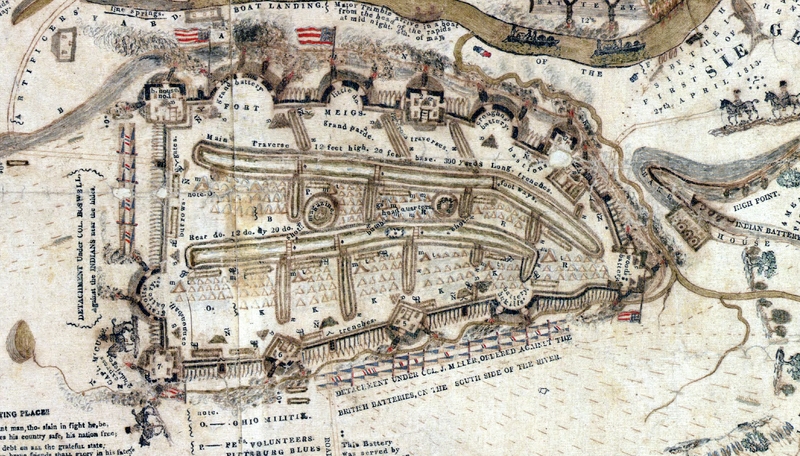 Additionally, in the same chapter Major General Cecil Moore, the Chief Engineer of the European Theater of Operations, admitted that his Engineer staff was inadequate to the task of providing all the topographic intelligence needed to support the invasion planning. 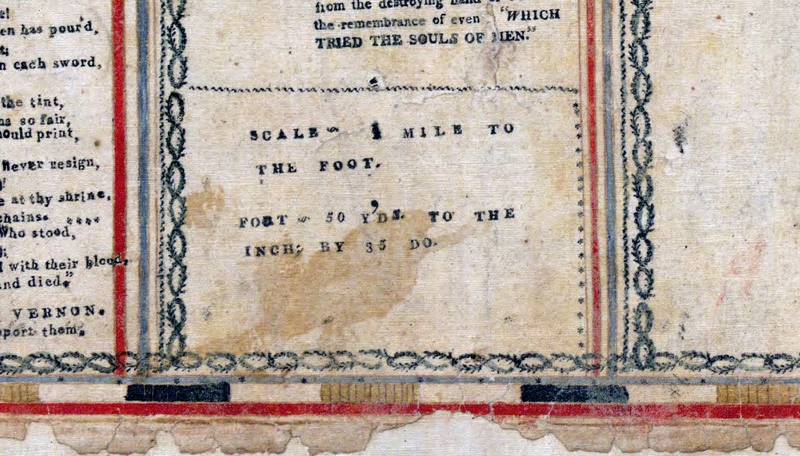 Topographic intelligence was new ground to many Engineer officers and they lacked the education, training and experience necessary to provide the support needed. This is a remarkable admission considering all the other excellent Engineer analysis that took place prior to the invasion. My guess is that Moore’s staff focused tightly on analysis of the invasion beaches, exits from the beaches and the avenues of approach to the initial objectives, and German obstacle emplacements that were visible in aerial photos. There were river crossing operations, road repairs and improvements, airfield construction, port repairs and a whole host of other critical Engineer tasks to focus on. Hedgerows, if anyone on Moore’s staff thought about them at all, were probably considered a minor issue in the overall scheme of things. There are three other issues that I’m sure probably came into play – wishful thinking, complacency and ‘go fever’. Wishful thinking. Having served on Army planning staffs from brigade all the way up to theater army level I can assure you that there’s a lot of wishful thinking that goes on during the staff planning process. While we train our planners to not allow wishful thinking to creep into the planning process, many times tough problems that are just ‘wished away’ on the assumption that someone else will solve it or it will resolve itself before the operation gets underway. I’ve seen this dozens of times, like when I told a tank battalion commander that his 12 foot wide Abrams tanks won’t fit down that 10 foot wide trail in North Korea that he was planning to use. He waved his hand dismissively and told me that if and when the time comes he’d find a way around the problem. Complacency. 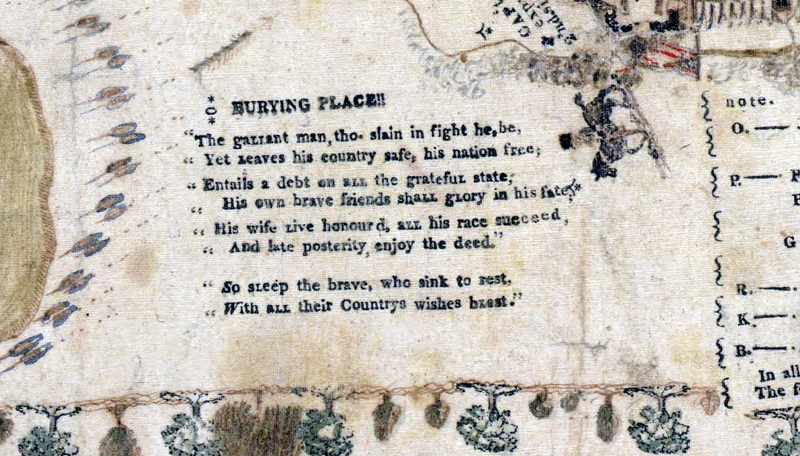 American Soldiers had been training in England for months before the invasion, and hedgerows are a common feature of the English countryside. But the hedgerows of England are were far smaller and easier to move through or over. Most could be simply hopped over. I’m sure many unit commanders looked at the aerial photos of Normandy and based on their experiences in England didn’t think the Normandy hedgerows would be much different. After all, a hedgerow is a hedgerow, right? ‘Go fever’ is the feeling that nothing is going to be allowed to stop the show. I’m sure ‘go fever’ saturated the Allied planning staff as June 6th approached. Nobody was going to try to halt the invasion for any reason; it was going to go as scheduled regardless of any last minute issues that might pop up. 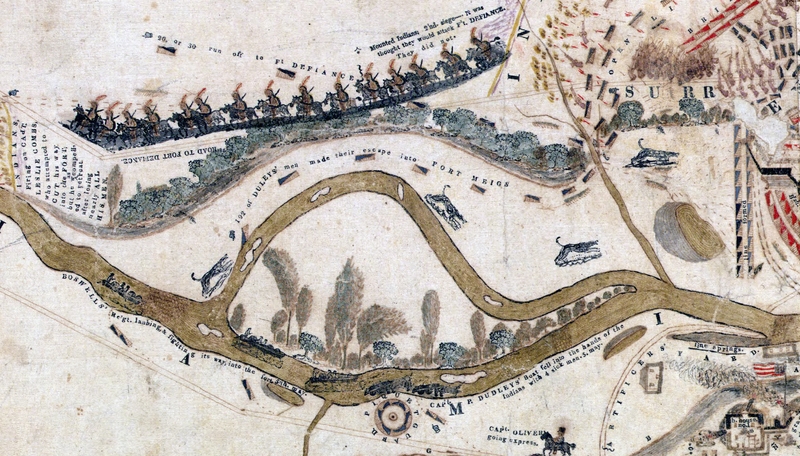 When an entire Army has ‘go fever’ nothing seemingly as minor as hedgerows will stop the largest invasion in history. 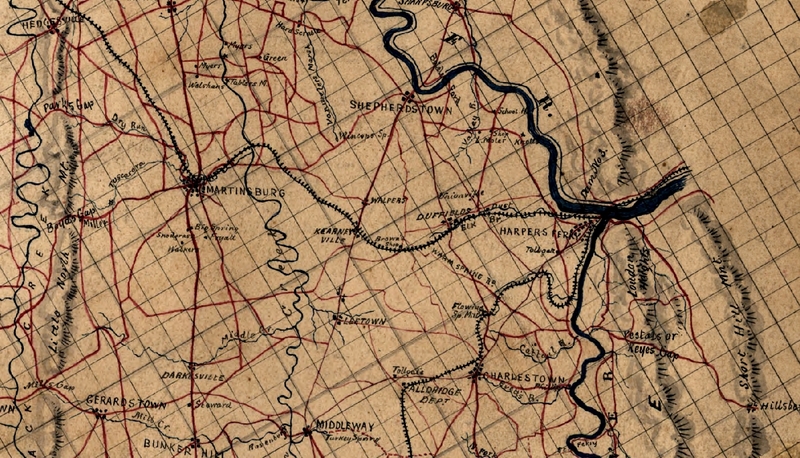 It took decades for the Army Corps of Engineers to recognize that topographic intelligence analysis was a critical skill that needed formalized processes and uniquely trained Soldiers. It was actually the Army Intelligence community’s efforts in the late 1970’s to formalize the Intelligence Preparation of the Battlefield (IPB) process that spurred the Engineers to action. IPB as an analysis process is heavily dependent on weather and topographic (terrain) analysis. 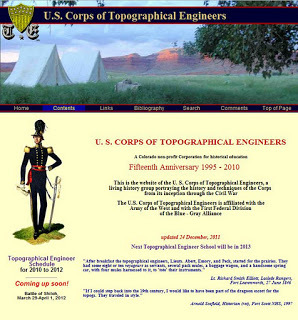 The Intelligence community was set to establish their own organic terrain analysis assets when the Director of the Army’s Engineer Topographic Laboratory warned the Chief of Engineers that if he didn’t get serious about Engineers doing topographic analysis a key and historic Engineer responsibility would be ceded to the Intelligence field. Soon after the Corps of Engineers established the Terrain Analysis field and seeded Terrain Analysis units across the Army division, corps and theater army force structure. Today Terrain Analysis is known as Geospatial Analysis and it’s the last vestige of the old Army topographic field left in the Army’s force structure. 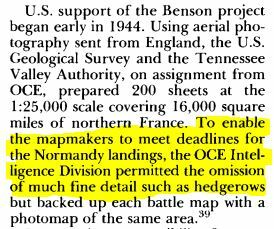 Since 1980 the Army’s Terrain/Geospatial Analysts have been doing the type of detailed analysis that might just have identified the hedgerows in Normandy as a serious obstacle. Our analyst are trained specifically to look at the small stuff – the trails, the fencelines, the stands of trees, even the hedgerows that might pose a problem for even the smallest of military units. On this Memorial Day I’m praying we never have another ‘hedgerow problem’ on any battlefield American Soldiers are deployed to.